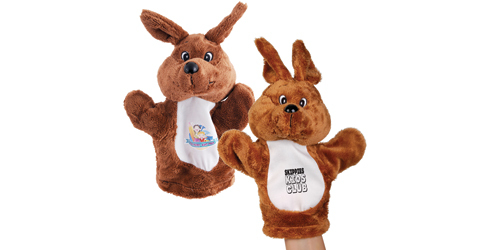 Bring your brand closer to customers by plush kangaroo hand puppet in a funny and memorable way. These puppets can fit most hand sizes with white cotton stomach area for decoration; therefore can be widely used for children entertainment events. You can screen or imprint you logos and images for maximum impacts. Call us at the number provided for service in both Perth and Midland.